Connelly, Neil G., Ture Damhus, Richard M. Hartshorn, and Alan T. Hutton. Nomenclature of Inorganic Chemistry: IUPAC Recommendations 2005. Cambridge: RSC Publishing, 2005. Hoffman, Darleane C., Albert Ghiorso, and Glenn T. Seaborg. The Transuranium People: The Inside Story. London, England: Imperial College Press, 2000. Keller, Jr., O. Lewin, and Glenn T. Seaborg. 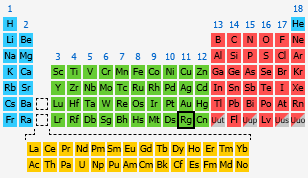 "Chemistry of the Transactinide Elements." pp. 139–166 in Annual Review Of Nuclear Science. Edited by Emilio Segre. Palo Alto, California: Annual Reviews Inc., 1977. Miessler, Gary L., and Donald A. Tarr. Inorganic Chemistry, 3rd edition. Upper Saddle River, NJ: Pearson Prentice Hall, 2004. Pekka Pyykkö. Self-Consistent, Year-2009 Covalent Radii. http://www.chem.helsinki.fi/~pyykko/Radii09.pdf . Accessed on November 20, 2010. Seaborg, Glenn T., and Walter D. Loveland. 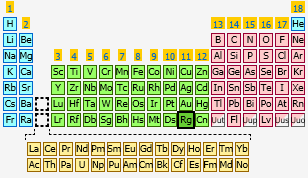 The Elements Beyond Uranium. New York: John Wiley & Sons, Inc., 1990.